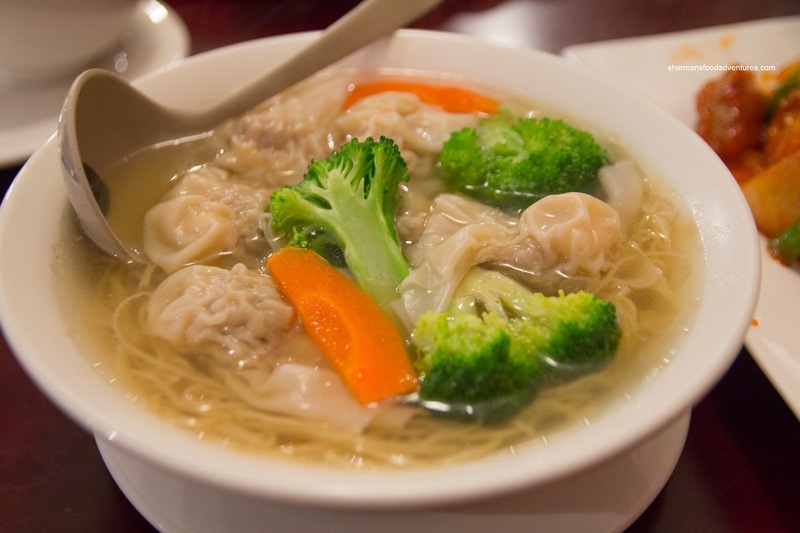 As much as we have plenty of Chinese restaurants to choose from, there are certain pockets of Greater Vancouver which lack a good selection. Case in point, let's look at North Burnaby. For such a large population of Chinese people, there is a confounding lack of good eats in the neighbourhood. So whenever a new joint opens up, my curiousity and low expectations bubble to the top. And yes, I've been to nearly all of the spots including Wah Lun, North Burnaby Wonton, #1 Chinese, but yet to visit Double One and Garlic and Chili. 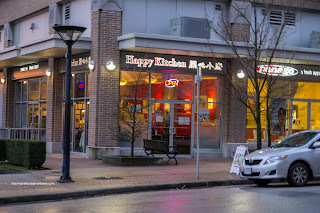 Recently, when I passed by the former location of Gohan, I noticed a new place named Happy Kitchen. 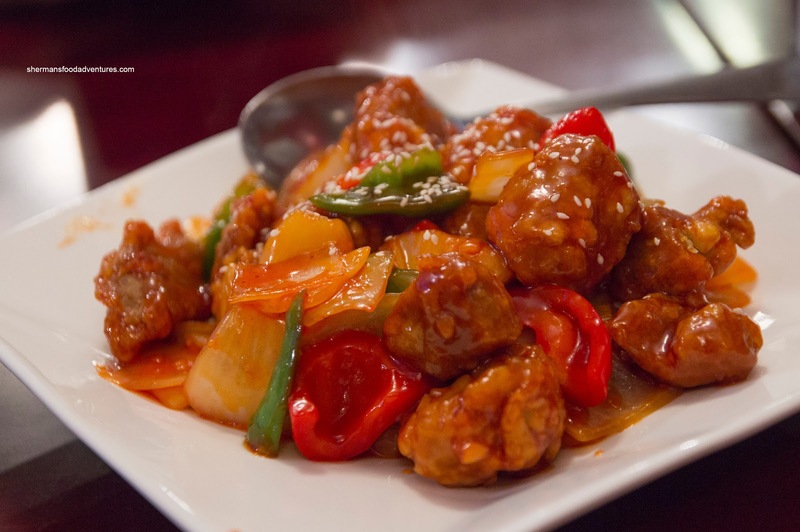 Of course, we made our way there in search of, at the very least, decent Chinese eats. We started with the Wonton Noodles which were pretty average with soft noodles and a broth which was more chicken soup than anything else. The beef & shrimp wontons were fine though where the meat was a touch gritty while the shrimp had a nice snap. 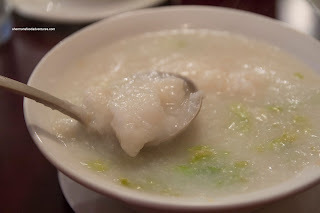 Getting the ying with the yang, we had the Fish Congee. It was thick in a home-style fashion. Hence, it was very mild with little MSG. There was a good amount of moist Basa which was just cooked. Continuing on, we got the Sweet & Sour Pork. It was meaty where there was barely any pieces of fat. I think they used the pork shoulder which made for a relatively "healthier" dish, but I thought a little more fat would've been better. The pieces of pork had a somewhat heavy coating where it was not crispy. I found the sauce to be rather mild and only exhibited a touch of sweetness and in need a bit more sour. Lastly, we ordered the Curry Beef since we saw a few tables eating it. We found it a bit spicy, but bland at the same time. The base was not savoury enough. Moreover, it was thin and in need of more coconut milk (or starch). The tenderized beef was easy to eat, but there was too much baking soda which made it a texture that didn't really fit with the curry. For the limited dishes we did try, our thoughts of the place was "meh". Not particularly horrible, yet not great either. Ultimately it can do the job in a pinch, but nothing I'm itching to visit again anytime soon. 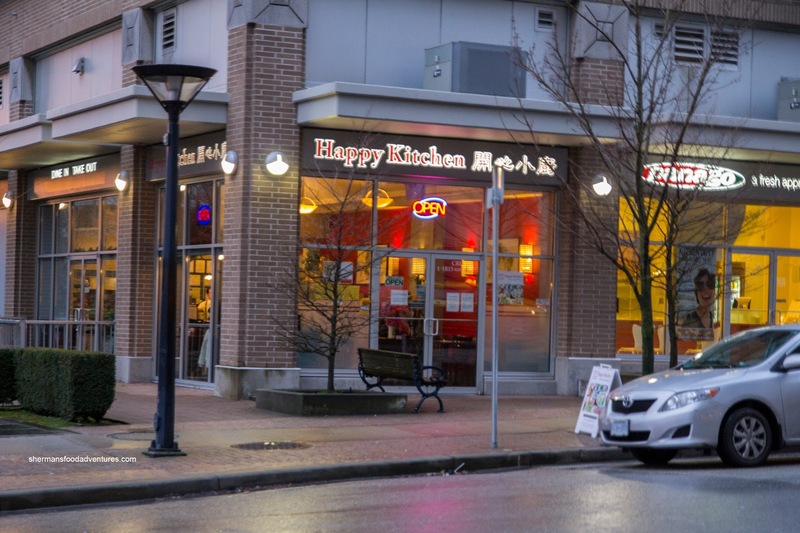 I tried Happy Kitchen when they first opened and thought it was pretty solid Chinese food, considering the location. On a side note, I'd HIGHLY recommend Garlic & Chili! 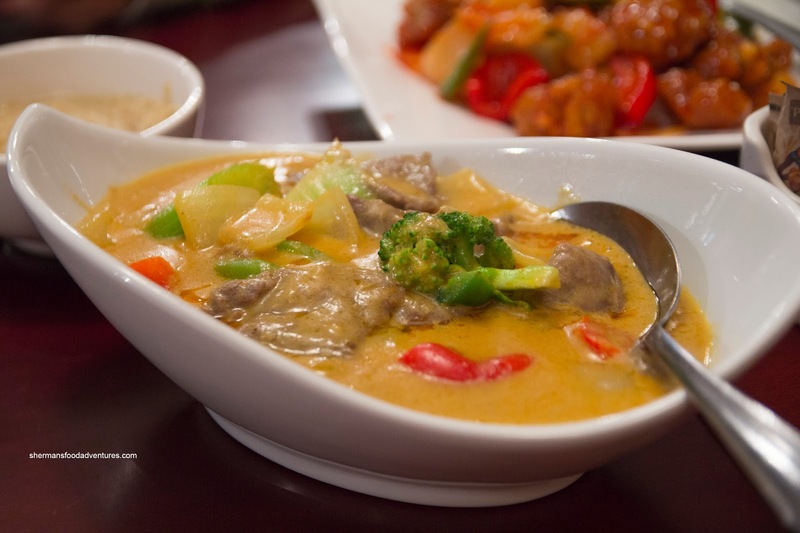 If you go, try their Szechuan Beef Noodle Soup - it's MOUTH-WATERINGLY delicious (but it's only available until 2pm).